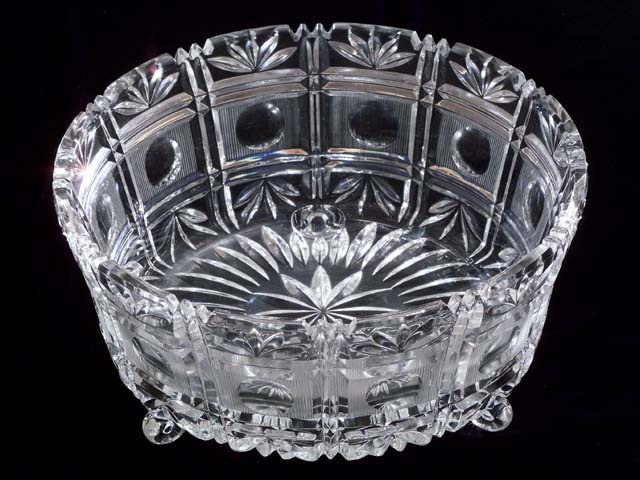 A large Cut Lead Crystal Bowl, 3 footed, 9" diameter x 4 1/2" tall x 3 1/4" deep x 1cm. thick. . The design around the perimeter is twelve duplicate sections of thumbprints in hatched rectangles, fans and inverted fans, horizontal and vertical bars which match serations in the lip.